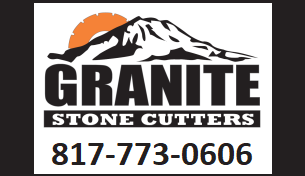 At Stone Cutters we realize that if you are considering remodeling your home or installing custom countertops you probably have many unanswered questions. This page will answer many of the questions we answer on a daily basis. However, if you have further questions or we can assist you in any way, please contact Stone Cutters at 214-502-8029. For your convenience, you may also request services from this site. Granite is one of the hardest materials on earth. Granite is composed primarily of quartz, feldspar and mica. Other minerals may be present in the stone creating its unique colors, textures and patterns. Used as a countertop material, it is resistant to scratches, acids, stains and heat. It is long-lasting, durable and available in a wide variety of colors, textures and unique crystal patterns that create a warm and inviting environment for you kitchen or bath. Marble works beautifully especially in the bath where the veining patterns and colors that appear can be used to create exquisite designs. Marbles are made up of mostly of calcite. Marble is sensitive to acidic foods such as vinegar, lemon, tomatoes, wine, as well as some tile cleaners, mildew removers and other materials commonly found in the kitchen or bath and will dull a polished finish. Should I use granite or marble for my countertops? Granite is the most versatile stone to work with. Granite can be used anywhere indoors or outdoors. Marble can be used almost anywhere, but it has limitations. Marble weathers outdoors and it is more susceptible to dulling, scratching and staining. Strictly speaking, granite is called "honed" when the polishing process is halted just before a reflective shiny surface is achieved. This gives a softer, matte appearance to the stone. Marble should be sealed once or twice a year. Granite should be sealed once a year. An important note to remember; using a sealer does not make the stone un-stainable! It simply fills the pores in the stone and make the staining process slower, thus giving you more time to clean a spill before a stain sets in. Otherwise, the usual clean regularly, don't use acidic or abrasive cleaners that will dull the finish over time. Granite is harder than your knife blades and will dull them very quickly, if you use the countertop as a cutting surface. Always cut and chop on a wooden or plastic cutting board. Will Granite Stone Cutters provide stone samples for me to take away? During your consultation with our design experts at Stone cutters, our designers will provide a variety of stone options for you to choose from. If you do not know what you are looking for, that is our job too. We will be happy to show you ideas that will compliment the rest of your home's decor. Do you have any finished tops I can look at? Absolutely! Be sure to tour our portfolio from this website. If you have further questions or would like to schedule a consultation be sure to contact Stone Cutters at 214-502-8029. Absolutely! At Stone Cutters, we employ only the best home remodeling experts in the industry. Including our team of licensed plumbers and electricians we will gladly be at your service. Granite is a porous stone and therefore is subject to potential staining. The porosity varies depending upon the minerals that are present in the granite. To protect the granite surface from staining it should be sealed at least once per year. Our recommendation is twice per year just to assure it is done once. Any stain that occurs in granite can be removed. We hope this page has answered some of the questions you may have. If you have further questions or we can assist you in any way, please contact Stone Cutters at 214-502-8029. For your convenience, you may request services from this site.